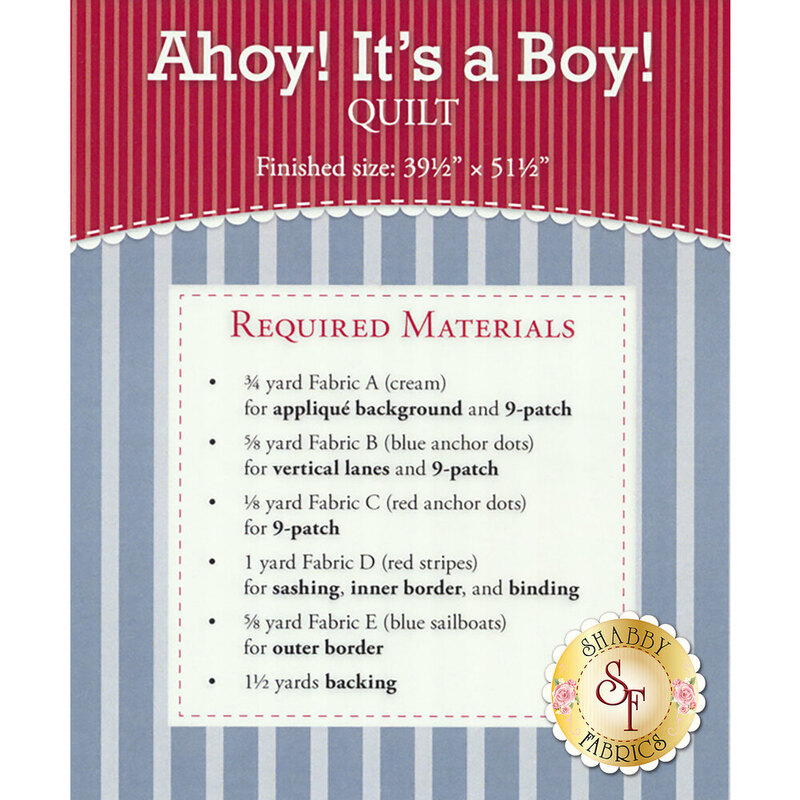 The boy version of Dream Baby has been designed right here at Shabby Fabrics by Jennifer Bosworth. 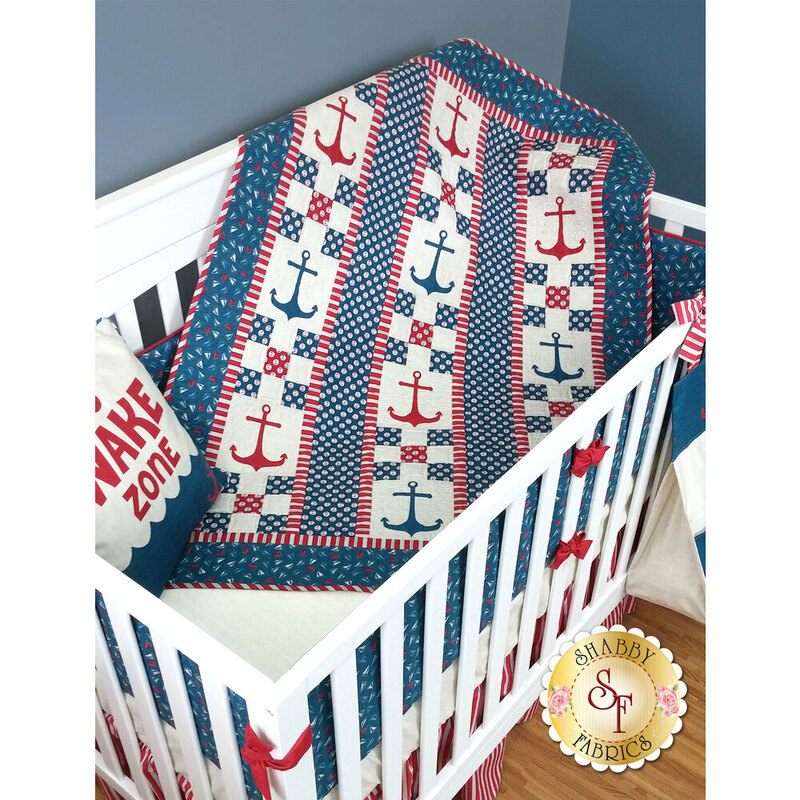 This quick and easy quilt is the perfect choice for a baby shower, new grandchild, or special little one! Using just a few fabrics and simple piecing (With some touches of Applique Anchors! ), you'll be able to create this crib-size design in no time. Finishes to 37½" x 52". Pattern includes diagram and instructions for completing the quilt.